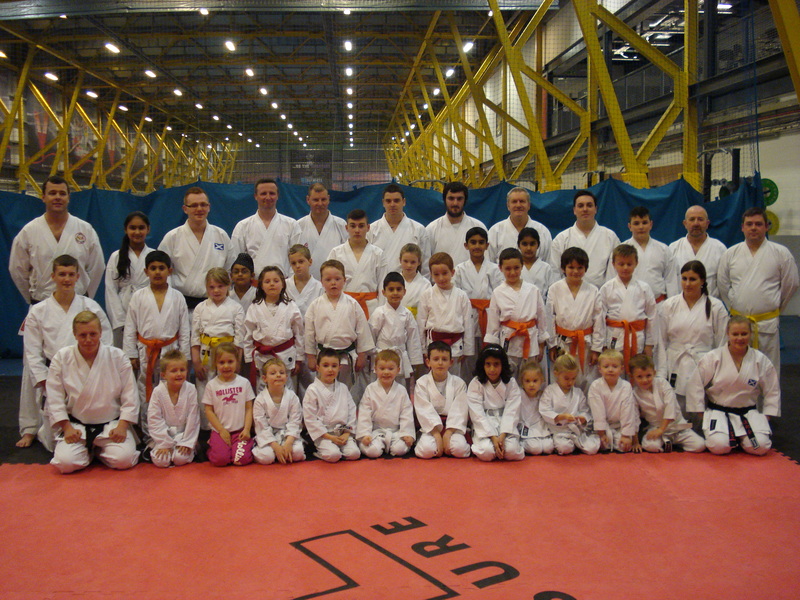 Lenbukai Karate Club started in 1976 within Newmains Pipe Band Hall, Wishaw. In the years to come, Lenbukai had spread its classes throughout the Lanarkshire area with additional clubs in Shotts, Blackwood, Law Village, Strathaven, Carluke, Lanark, Hamilton, Larkhall, Motherwell, Cambusnethan, Moffat, East Kilbride and Viewpark. Over the years student numbers declined due to many factors not least the explosion of many different styles of martial arts throughout the United Kingdom. In 2006, due to unforeseen circumstances, Lenbukai’s central dojo at Thornlie Church Hall, Wishaw - where all Kyu and Dan Grading’s were held for all of its members - was shut down forcing the club to re-locate. This had a further impact on student numbers although the club still remained positive and was even able to send a team of competitors to the WKC Junior World Championships in Germany (2006), Slovenia (2008) and Italy (2010). In October 2010, the club re-established itself in the centre of Lanarkshire and moved to its new home at the Ravenscraig Regional Sports Facility, Motherwell. The club has been successful over the years in events both nationally and internationally bringing a great number of medals back to Scotland and to our club. With club numbers now back on the rise, ambitions are high among our current club members to once again take on the best in the World.